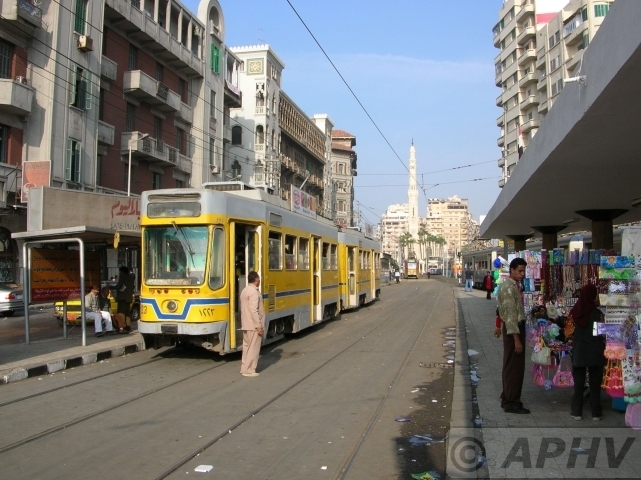 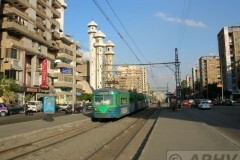 Heliopolis 7 November 2004 It looks run down bud the newest Egyptian tramway service between Cairo and Heliopolis with its 3 main trunk routes is still active. 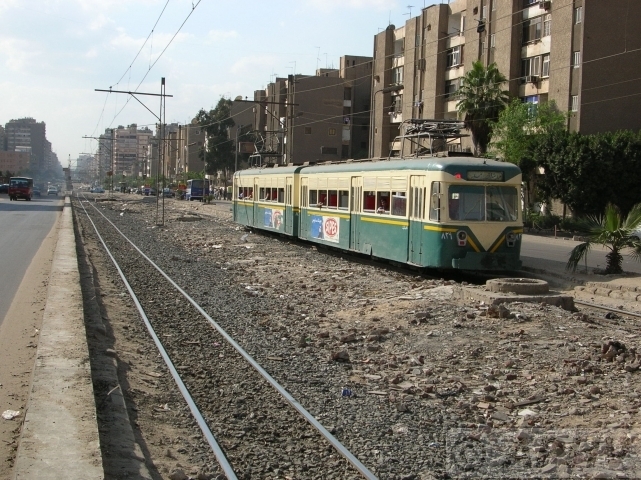 Although in my view not as attractive as it should be, Due to bad trach and overhead condition (EWgypt systems have troubles with maintanance) speed is very slow. 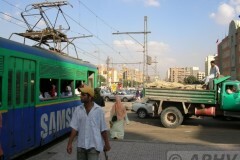 Also at main road crossings the unbehaved and agrassive driving off motorists slowes passage off trams down. 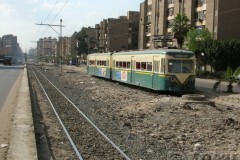 7 November 2004 Heliopolis the souther off the 3 trunk lines into Heliopolis. 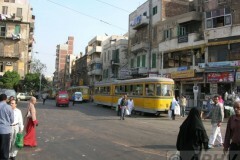 Traffic at a road crossing makes it difficult to cross this intersection. 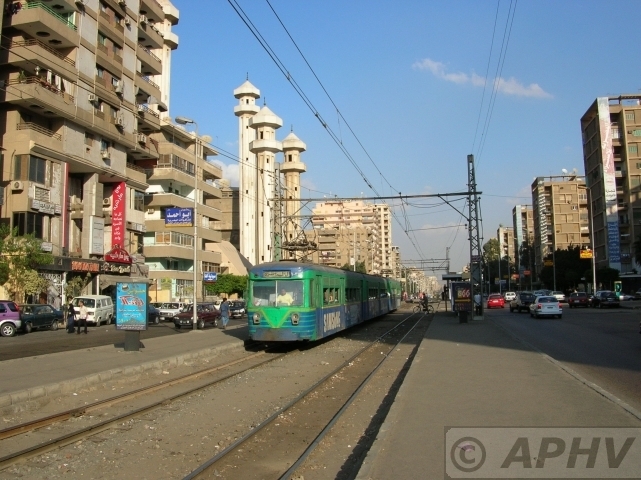 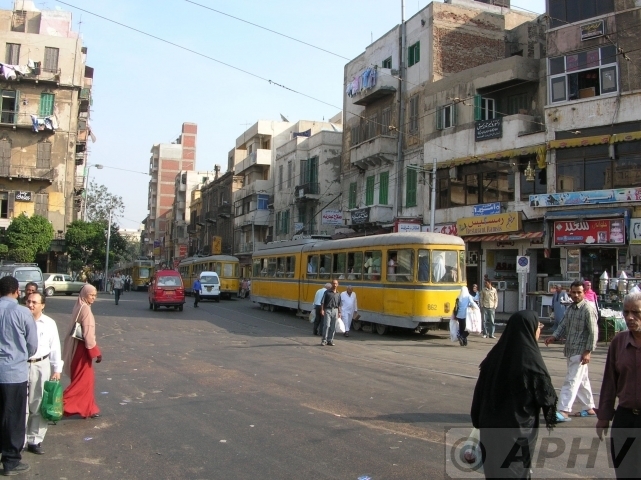 7 November 2004 An interesting build Mosk is the back ground off this Heliopolis street scene. 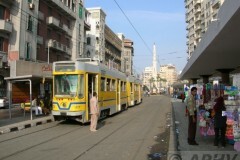 Alexandria 6 November 2004 near the main railway station. 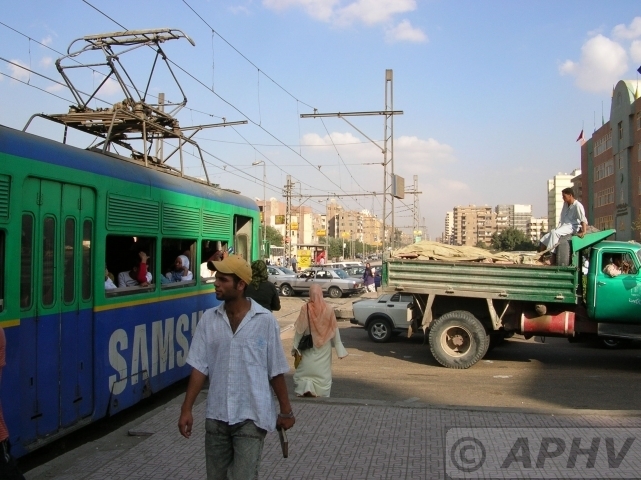 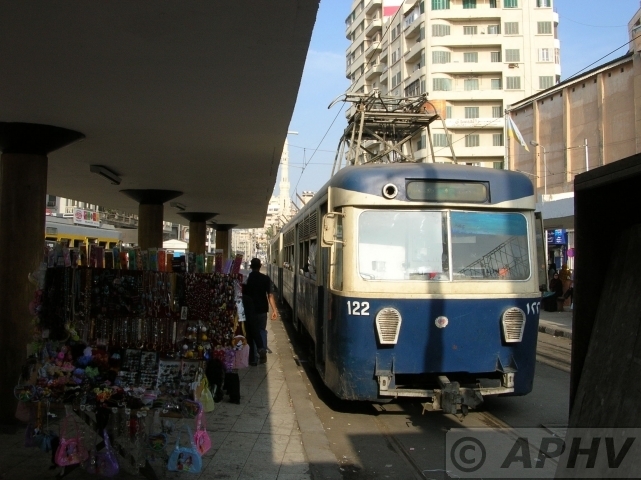 6 November 2004 The tram to Ramleh with its double deckers.